IC-8: AA battery case for ICOM, REALISTIC, Radio Shack, & DELCOM handheld radios (IC-02AT, IC-03AT, IC-04AT, IC-2AT, IC-2GAT, IC-U16, IC-H16, IC-M2, HTX-202, HTX-404, DELCOM 960, etc). Case height = about 3.25". 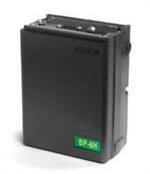 It accepts 8 x AA size dry batteries (Alkaline, etc), or 8 x NiCd dAA cells, or 8 x NiMH AA cells. The IC-8 has a charging jack for recharging Ni-Cd and Ni-MH cells with your original Wall TX ! 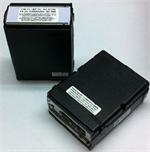 Ni-Cds and Ni-MHs in an IC-8 can also be recharged (overnight) with desktop chargers like the BC-35 or CM-35. Batteries sold separately. 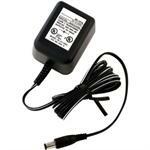 Replacement Wall charger is also available (# IC-WC).